Here are a few pics of Zion's room. 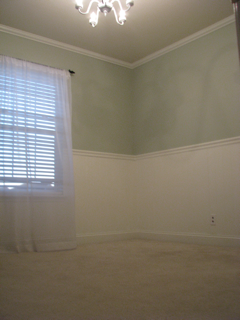 Special thanks to my Dad, Uncle & Greg who gave up a lot of their free time to create this lovely room for my baby boy. 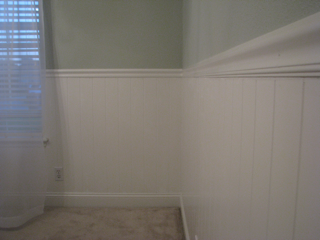 We used the widest baseboard we could find, we also used a medium size wall paneling with matching chair rail and crown molding. 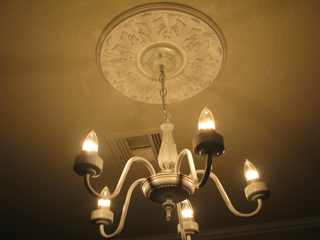 Dad painted the vintage light fixture white (so far it's been grey and black) and installed a decorative light cap around the chandelier. We still have to put the crib together and I need to design all the artwork for the walls. (I have BIG plans for that!) Curtains & baby bedding are next on my list of purchases. I may hold off on those items until after our trip to Italy- who knows, I may find the perfect baby bedding in Tuscany or New York City. 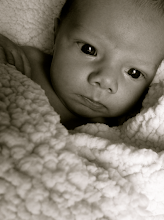 But for now, I am content to dream about the wonderful memories that our son will have in his first room. What a wonderful place to be able to spend his first years! I love it!!! Zion is going to have such a wonderful place to learn and grow. So peaceful... your dad did such a great job. What a labor of love! So sweet! I agree, peaceful, and what fun that it was a family affair! This is one LOVED baby boy! yeah! I can't wait to see it all completed! I know it is going to be so great. 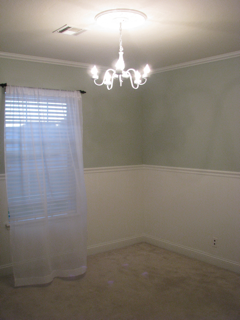 My nursery still has a few items missing - like the valance, and two of the four bumper pads! : ) When and why are you going to NYC and ITaly!? !